100sareepact | When you are the only one in saree! 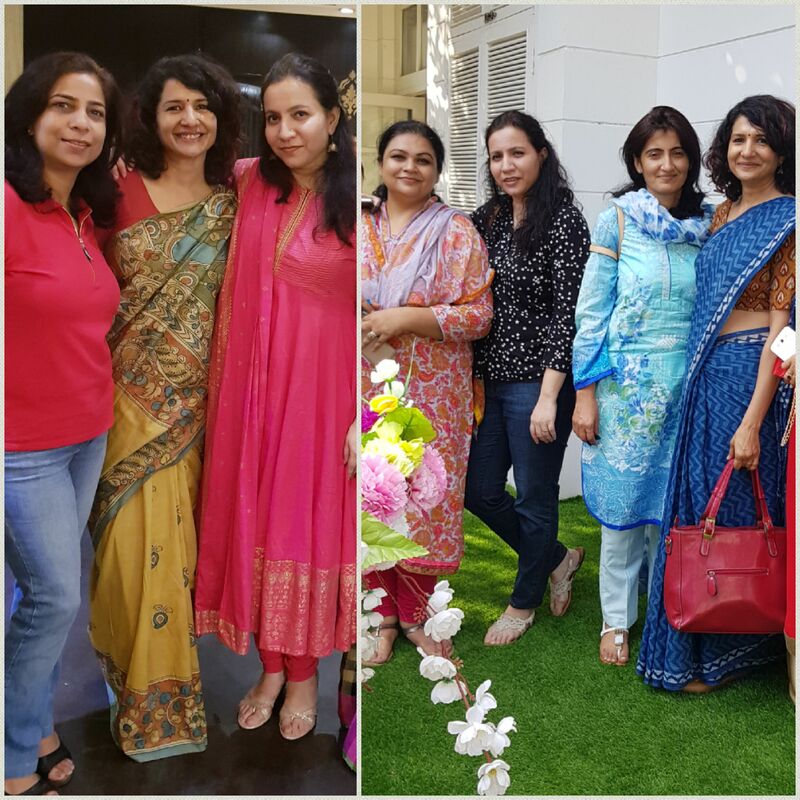 Friends’ birthday luncheons on weekdays turn out to be the parties where more often than not I’m the only one wearing a saree; cotton saree, to be more precise. So what do i do ……….enjoy the attention!! 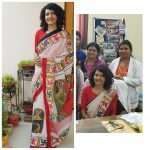 In pic on left I’m wearing a hand painted kalamkari, my prized possession and the pic on right is an indigo in cotton kota.